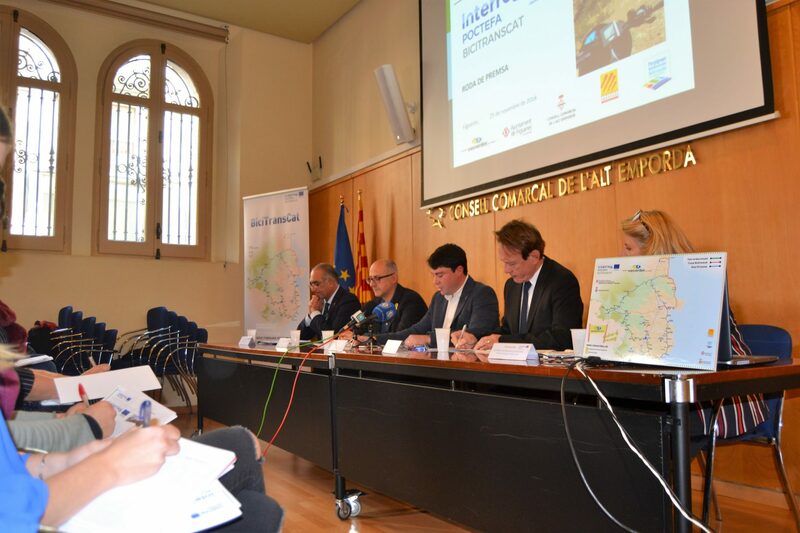 The greenways stretch that takes us from Sant Joan de les Abadesses to La Vall de Bianya has not been completed yet and this information is therefore provisional. 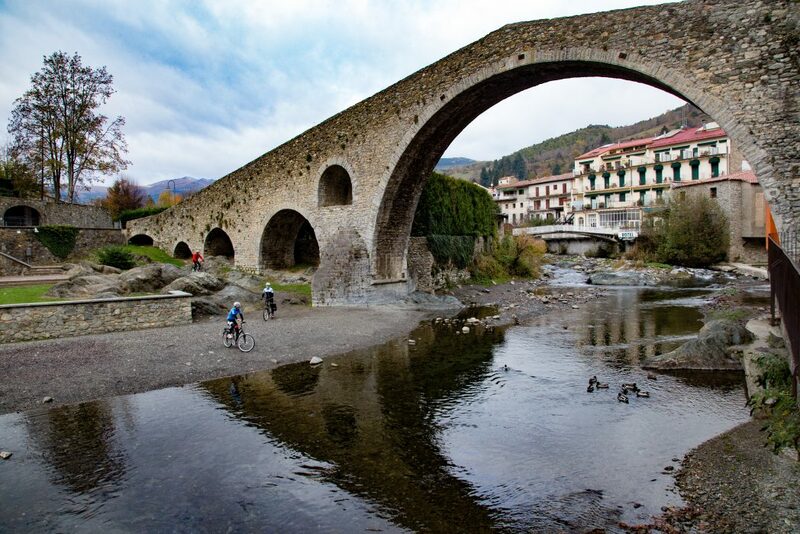 From Olot, you also can visit La Vall de Bianya by taking the greenway route. 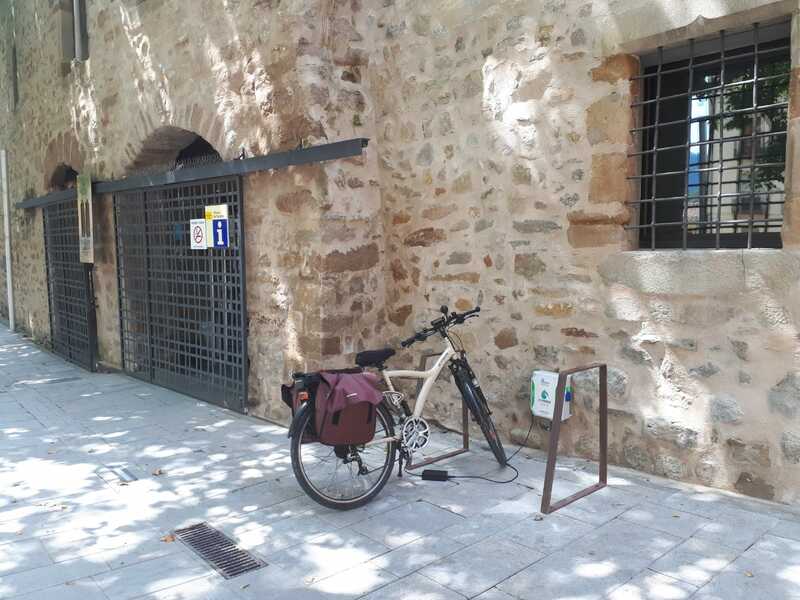 Leaving the old station of Olot, just in front of the trade fair area, we find signs for the Greenway that we will follow until we cross the River Fluvià. 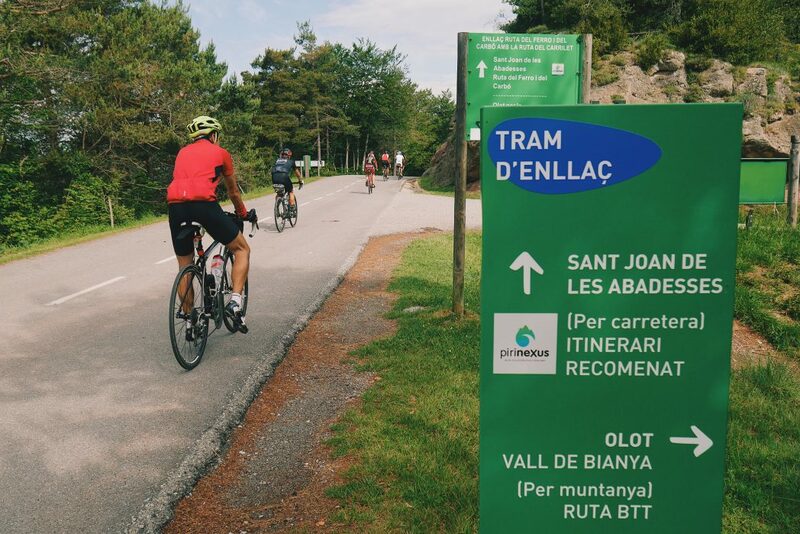 After crossing the river, we follow the main road that takes us to Carrer de Pere Bretxa, until we come across a sign saying: “Totes direccions”. We then continue along Carrer de la Verge de Fàtima until we reach Plaça Catalunya. 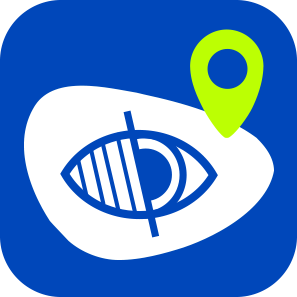 We turn here and go towards Plaça Clarà, where we need to take Avinguda dels Reis Catòlics which will take us to the centre of Olot. 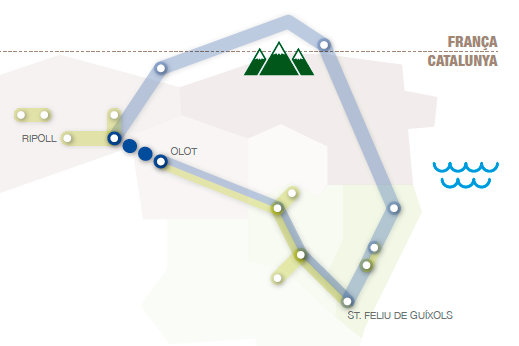 When we reach the centre, we continue to a roundabout (the same one we will find if we come from La Vall de Bianya) and leave the town of Olot. Outside the town, we take Carretera A-26 (the old N-60) for 10 kilometres until we reach Coll de Coubet at an altitude of 1,010 metres. 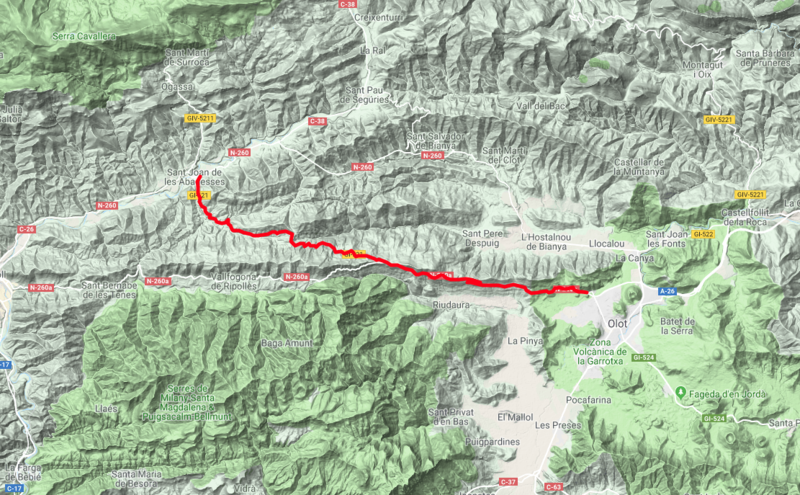 We then continue for 12 kilometres more until we reach the road that will take us to La Font dels Pastors. You can’t miss it: just keep following the road. 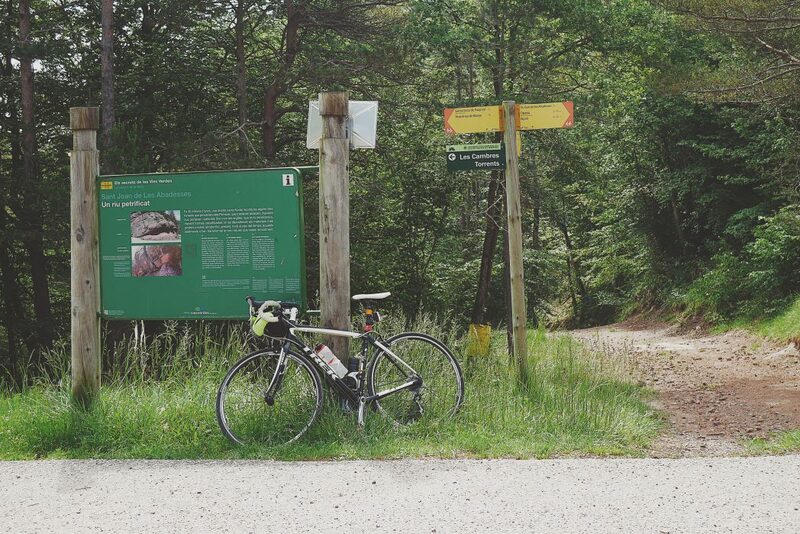 Once we reach La Font dels Pastors, we then continue for 2 kilometres along Carretera GI-521, enjoying the coolness of the beechwood, until we see the change of comarca that takes us into El Ripollès. We first reach Coll de Sentigosa, where we pass the picnic area and La Font dels Vermells. A little after this, we see the turn off the Sentigosa road and continue along the general road until we reach the church of Sant Pol (Romanesque church dating back to the 12th century). 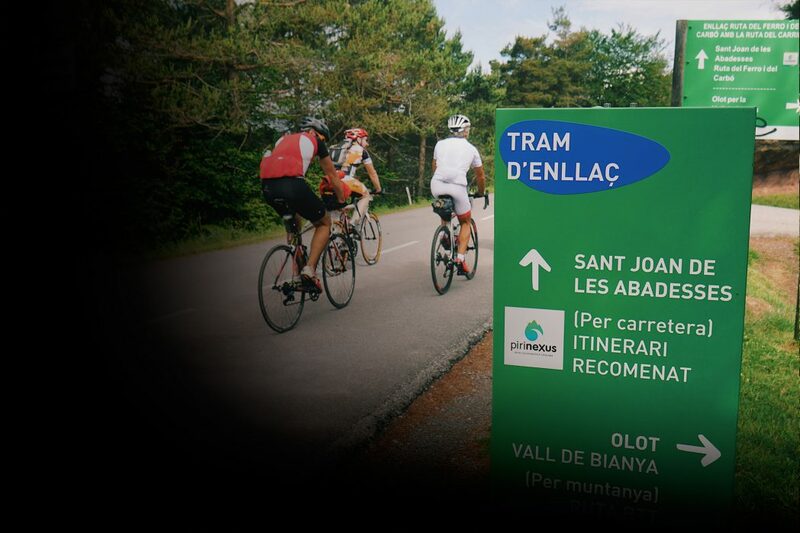 Crossing the Gothic bridge, we leave the station and finally arrive in Sant Joan de les Abadessses.